An important date which brings us all together each year is Holocaust Memorial Day on 27 January. Boroughs across London are planning events. This year is the 70th anniversary of the liberation of the Auschwitz-Birkenau WWII death camp and also the 20th anniversary of the Srebrenica genocide in Bosnia. There are plenty of imaginative resources to mark the theme for 2015 “Keep the memory alive” on the HMD website. The HMD team is always very helpful to anyone planning a local event. Get in touch with them for advice and visit their activity page here. Today is Holocaust Memorial Day. Many of us will be remembering those communities which were destroyed during the Holocaust under Nazi persecution and the subsequent genocides in Cambodia, Rwanda, Bosnia and Darfur. London boroughs are holding events today, tomorrow and during the week. You can find a list of events below, reproduced from the Holocaust Memorial Day website, which is full of excellent information and campaigning material. Follow the links in the left column for details. Let me know if you have an event to add. The theme this year is Communities Together: Build a Bridge and everyone is asked to make links across communities and help to create a safer, better future – and to register their action on the website. Watch the Lessons Learnt? video below. “On 27 January 2012, we are asking you to consider what you see and hear around you . .
. . and to use your voices to Speak Up against hatred and discrimination.” Holocaust Memorial Day Trust. Holocaust Memorial Day falls on 27th January each year – which is this Friday. Use the memory of those whose voices were silenced (victims of the Holocaust, Nazi persecution and subsequent genocides) to Speak Out today. HMD Trust has loads of info, stories, video clips & inspirational ideas for us all to use. 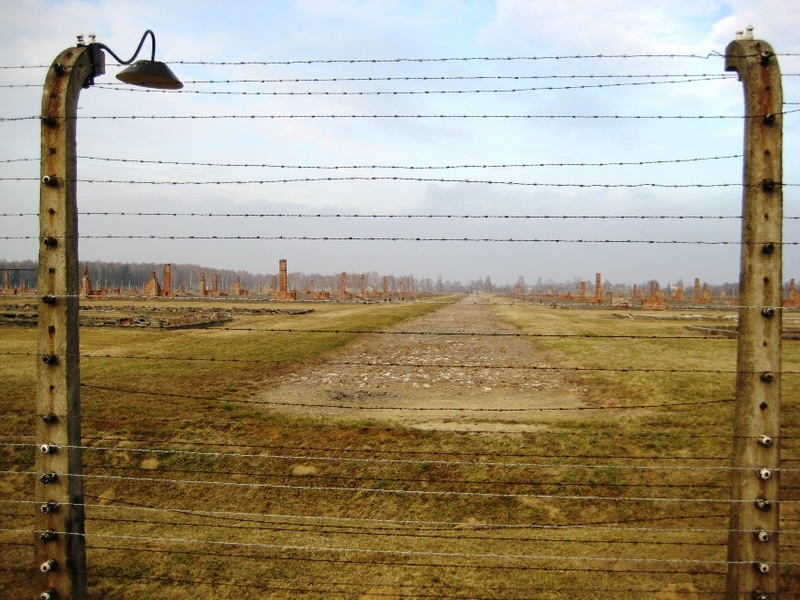 Birkenau death camp, where thousands were murdered during WWII. 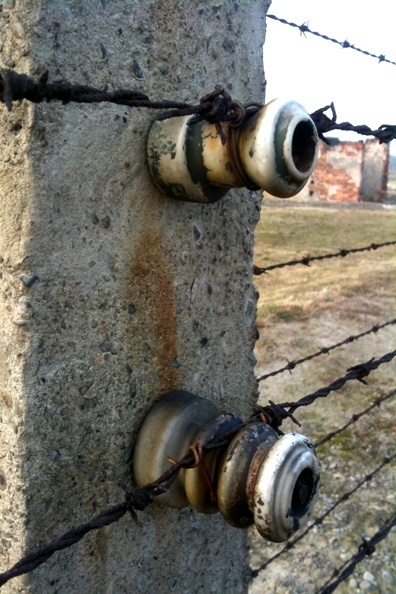 Auschwitz-Birkenau was liberated by the Soviet army on 27th January 1945. BARNET Sunday 22 January, 1pm, at Ricketts Quadrangle, Middlesex University, The Burroughs, Hendon, NW4 4BT. BARKING & DAGENHAM 23-27 January, an exhibition/display and a Candle of Remembrance on Friday 27. Barking and Dagenham College, Dagenham Road, Romford. BRENT Thursday 26 January 7pm to 9pm in Willesden Green Library Centre, The Black experience in Nazi Germany and wartime Europe by Akin Shenbanjo Jr.
CAMDEN 27 January 6.30 to 8pm at the Conference Centre, British Library, 96 Euston Road, NW1 2DB. EALING Friday 27 January 11am, tree planting outside Perceval House offices. ENFIELD Thursday 26th January 6pm – 8.30pm, Dugdale Centre, Thomas Hardy House, Enfield Town. HOUNSLOW Thursday 26 January 11.30am Holocaust Memorial Day service beside the Holocaust memorial tree at the Civic Centre, Hounslow. ISLINGTON Friday 27 January 10.30am to 1.30pm, Committee Rooms 5 & 6, Islington Town Hall. LAMBETH Sunday 29 January 3 to 4.30pm, Lambeth Town Hall. LEWISHAM Saturday 28 January 12 noon, Multi-faith service, Catford Synagogue, Crantock Road SE6 2QT. NEWHAM Friday 27 January 10am to 12noon, Newham Town Hall, Barking Road, E6 2RP. MERTON Thursday 26 January from 7:00pm until 9:00pm in the Council Chamber, Merton Civic Centre. REDBRIDGE Friday, 27 January at 11am at Holocaust Memorial Garden, Valentines Park. SUTTON Friday 27 January from 10.30am – 12 noon, Europa Gallery, Sutton. TOWER HAMLETS Sunday 29 January 2.30 – 4.30pm, East London Central Synagogue, 30-40 Nelson Street, London, E1 2DE. WALTHAM FOREST Sunday 29 January 3pm-6pm, Harmony Hall, 10 Truro Road, Walthamstow E17 8QP. EUROPE HOUSE Wednesday 25 January to Friday 10 February, an exhibition of art by Hungarian Holocaust survivor Moshe Galili at the European Commission, London, SW1. Holocaust Memorial Day (HMD) takes place on 27 January each year. The purpose of HMD is to honour and remember the victims and survivors of the Holocaust, Nazi persecution and subsequent genocides in Cambodia, Bosnia, Rwanda and the ongoing atrocities in Darfur. HMD gives us all a chance to look to our own lives and communities today and gives us an opportunity to celebrate the things which are sometimes used as reasons to separate us. No type of commemoration or event to mark HMD 2011 is right or wrong or too big or too small, and it need not cost a large amount. The Holocaust Memorial Day Trust provides free resources and advice for event organisers on their website. They also supply free Campaign Packs which are an essential starting point for anyone thinking of organising an event for HMD 2011. You can contact Terry at the HMDT office for further information and advice – call 0845 838 1883 or email enquiries@hmd.org.uk.